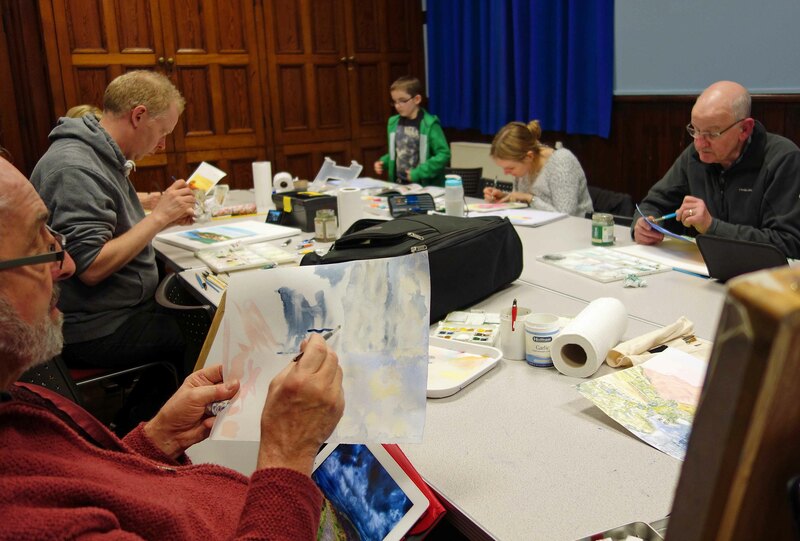 suit people at all levels of experience and age groups from complete beginners to those who have been painting for some time. 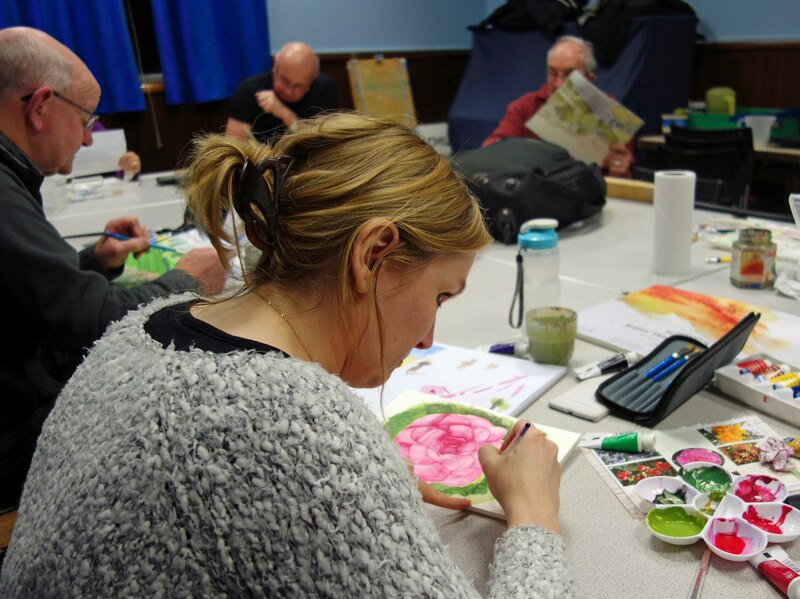 The classes are suitable for anyone who enjoys working in a friendly and supportive atmosphere. I can also arrange tuition on a 1:1 basis. The group sessions are organised on different themes determined through group discussions so that they reflect the interests and priorities of group members. Course topics have included the work of artists, Turner, Van Gough, Magritte Kandinski Tamara de Lempika and Georgia O'Keefe. 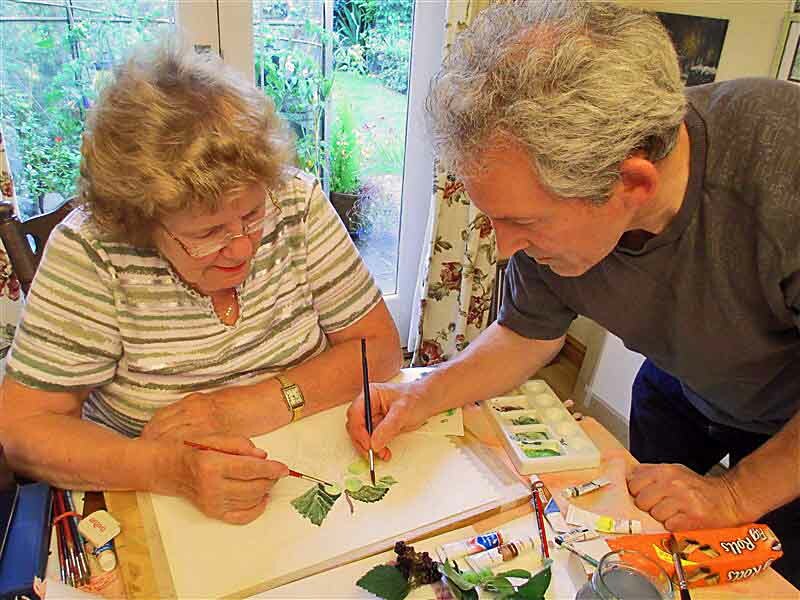 Practical skills have included perspective, tone and composition, proportions of the human body, and information on types of paint brushes, paper and tecniques of using different media such as watercoour pastel crayons and oil and acrylic paints. We have also been looking at colour and how to make the best use of it beinning with the colour circle and complimentary colours. We explored how colours are mixed, and used in compositions mixing all colours from the three primaries, red blue and yellow. We explored how colour is used to convey emotion and to give the impression of distance in landscapes. There are two Groups and classes are held weekly on Monday evenings and Tuesday afternoons. Please contact me if you wish to join or would like further information. Examples of students work are included below and regular exhibitions of work are displayed in Almondbury Library.